We have two dormitories: One for girls and one for boys. The Girls’ dorm, the Bonnie Adams Lawson Dormitory, was renovated in 2014. Originally constructed in 1972, an extensive renovation was essential: new electrical wiring; new plumbing and bathroom fixtures; new walls, ceilings and floors; windows; doors; appliances; heating and air conditioning; carpet; computers and Wi-Fi; new roof; and so on. 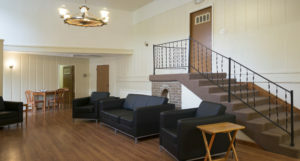 Extensive renovations at the boys’ dormitory were completed by 2013. We owe a debt of gratitude to numerous United Methodist Churches from across the land who donated money, materials, and labor. The family and friends of Bonnie Adams Lawson, a former dormitory student, donated money to renovate the girls’ dormitory. Both dormitories received new furniture throughout: bedroom furniture; mattresses and box springs for beds; bed-side tables; chests of drawers; desks; sofas; chairs; and so on. Each room in our dorms will be quarters for two students. In the girls’ dorm each room has its own bathroom. Each wing of the boys’ dorm has shower rooms and bathrooms. The showers and toilets are individualized for privacy and comfort. Satellite television is provided in both dormitories. The DISH satellite network will provide ample entertainment, news, and sports for our residents. Both dormitories have a master apartment for the dorm parents. The girls’ dorm has a second apartment upstairs so that dorm parents are available on both floors. The boy’s dorm is on one level. 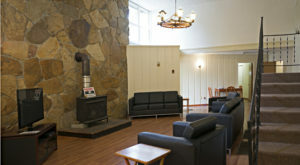 Both dormitories have lounges for watching television and playing games. Both dorms will have pool tables. An outdoor basketball court is available for boys and girls. 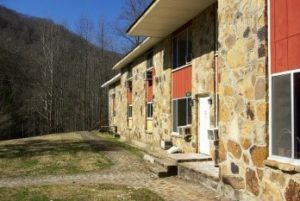 Located in the middle of the Daniel Boone National Forest, the mountains provide a glorious setting for our dormitories and school. The beauty of God’s glorious handiwork is available for all to see and enjoy season after season!